Short on time but looking for a safe, enjoyable cruise? You might want to listen to Edwin Emerson and Bill Fluty&apos;s suggestion for where to go. 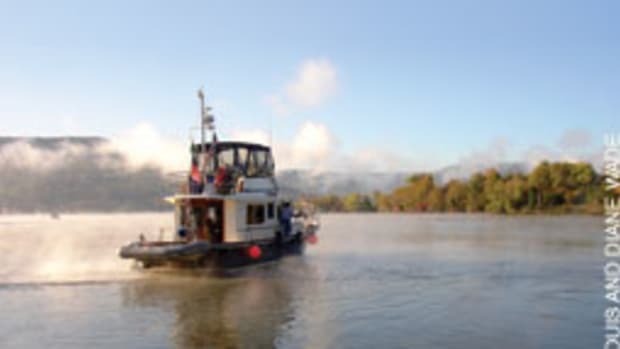 "The Carolina Loop is such a nice cruise, with a little of everything - Dismal Swamp, rivers, three locks and bridges, friendly people, great restaurants and so much wildlife, even osprey and eagles overhead," says Emerson, a 55-year-old lifelong sailor from Chesapeake, Va. "I like a cruise where I don&apos;t go out and back the same way." The well-marked 110-mile loop around eastern North Carolina does not require the time or resources of a Great Loop cruise. 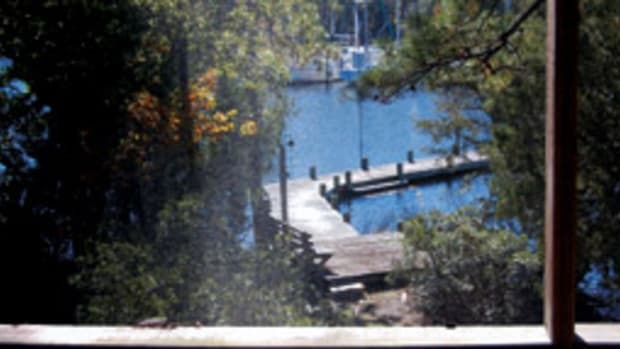 Chesapeake boaters can enter the Carolina Loop where the Intracoastal Waterway divides at Mile 7.3, fewer than 10 miles south of Waterside Marina in Norfolk, Va.
From there they have a choice: go eastward along the Albemarle & Chesapeake Canal (North Carolina-Virginia Cut); down North Landing River, Currituck Sound and the North River to Albemarle Sound; then return north on the Alternate ICW (Pasquotank River and Dismal Swamp Canal) to their starting point. Or cruise southwest, reversing the loop. Boaters in Albemarle Sound can head to Elizabeth City or Coinjock, N.C.
"What&apos;s great about the Loop is that you can do the trip in three days or take your time and enjoy the scenery," says Bill Fluty, 64, of Radio Island Marina in Morehead City, N.C., who led a weeklong cruise to Norfolk, Va., via the Loop in his Pursuit 25. 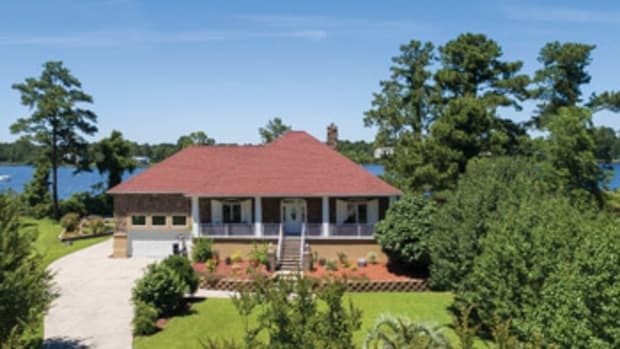 The scenery varies, from Dismal Swamp&apos;s primeval wetland forest to Currituck Sound&apos;s windswept marshes to Elizabeth City&apos;s historic neighborhoods. Crab pots dot Currituck Sound; cottages dot some riverbanks. "Everyone should experience the Dismal Swamp Canal," Fluty says. "It&apos;s so full of history." The 22-mile canal, completed in 1805, connected North Carolina products with Chesapeake Bay markets and provided safe haven for escaping slaves during the Civil War. Occasionally, small craft negotiate the feeder ditch to Lake Drummond in the swamp&apos;s heart. In 1859, the new Albemarle & Chesapeake Canal became the major commercial water route, and in 1913 it became part of the ICW. The A&C has 12-foot depths and a single lock and bridge. 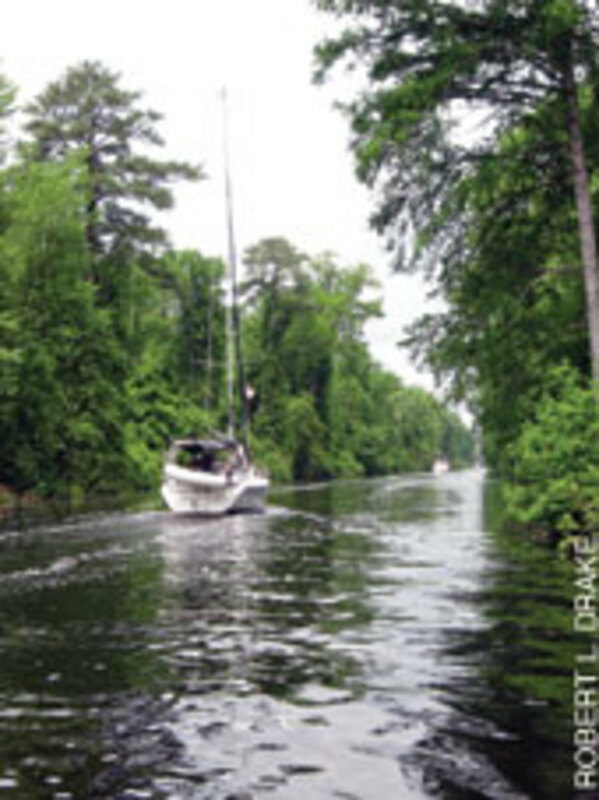 Although the Dismal Swamp Canal was rebuilt in 1899 with 6-foot depths and two locks, it remains a quiet backwater route, subject to water levels in Lake Drummond. Emerson, who keeps his Gulfstar 43 ketch in Coinjock&apos;s Midway Marina, cruised the Carolina Loop in June 2009. "I stayed overnight at Elizabeth City&apos;s Mariners&apos; Wharf and Top Rack Marina in Chesapeake, Va.," he says. "I could have stretched the trip out" by also tying up free at Dismal Swamp Welcome Center&apos;s dock (Mile Marker 28) or anchoring on the North or Pasquotank rivers. 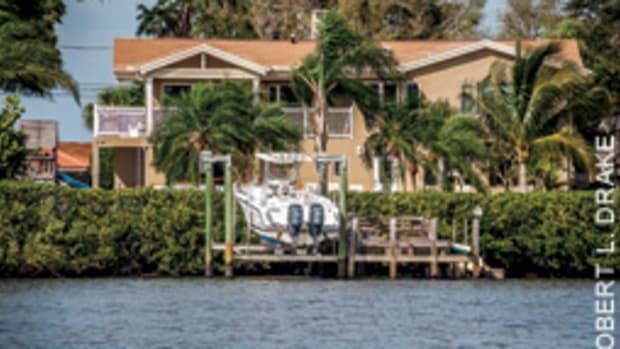 Coinjock, Elizabeth City and Chesapeake have full-service marinas and restaurants. 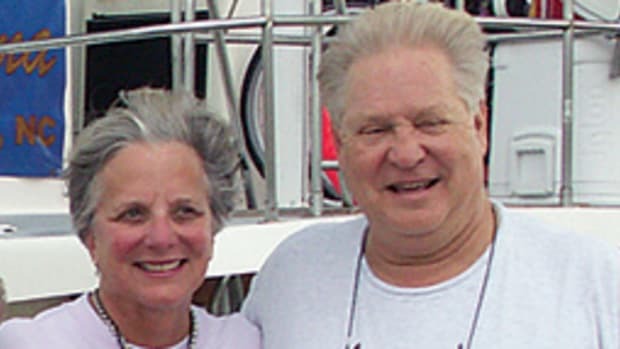 Among Fluty&apos;s 17-boat flotilla were Rick and Janie Margaret Perrin in their Pursuit 26. The 63-year-old Morehead City dentist considers the cruise "very informative and a lot of fun. Though my wife and I had cruised to Georgetown, S.C., this was our first experience with locks or bridges. Going through Deep Creek Lock with 16 other powerboats and five sailboats was an adventure. Now we&apos;re confident to go farther afield." 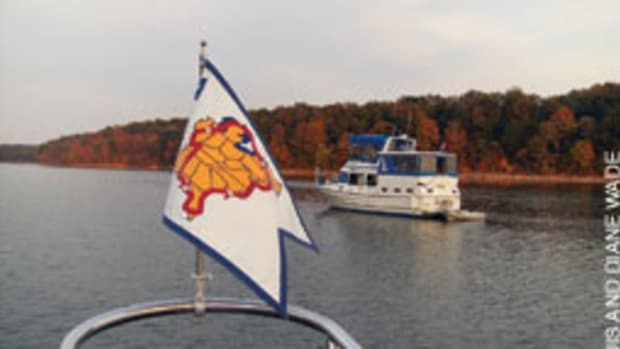 Fluty continues: "This weeklong cruise gives our boaters [in boats from a 25-foot Pursuit to a 36-foot Sabre] experience on the ICW with a nice group of people. They learn that you can get out on the water and it&apos;s safe, that you see things from the water you&apos;d never see from land. 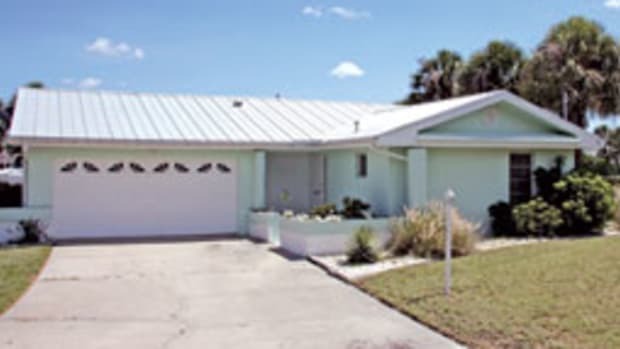 We make it a fun trip, providing good places to stay and nice places to eat." 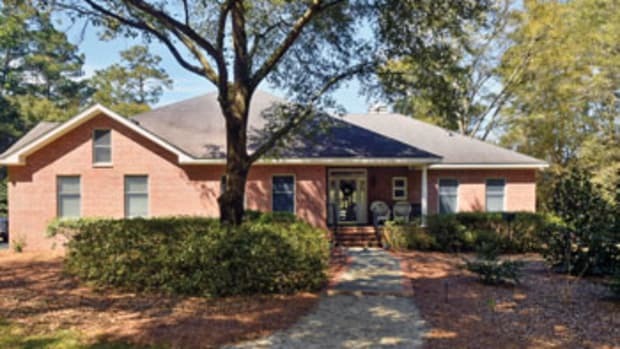 The good places to stay include famously friendly Elizabeth City. Emerson says he "had a hoot, sitting on the stern of my boat talking to people who came by, then checking out all the restaurants." He recalls doing the Loop years ago in an 18-foot center console. "But the way to appreciate the scenery is in a slow-moving trawler or sailboat," Emerson says. A&C Canal: Great Bridge Lock opens on demand in conjunction with the Great Bridge openings hourly from 6 a.m. to 7 p.m., then on demand, (757) 547-3311. North Landing Bridge opens every hour and half hour from 6 a.m. to 7 p.m., then on demand, (757) 482-3081. 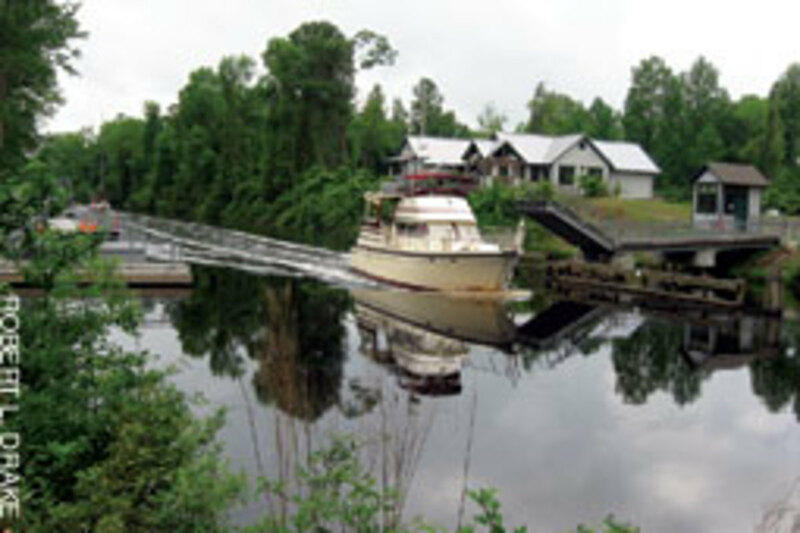 Dismal Swamp Canal: Locks at Deep Creek (Mile Marker 11.5) (757) 487-0831, and South Mills (Mile Marker 33) (252) 771-5906, open at 8:30 and 11 a.m., and 1:30 and 3:30 p.m., subject to water levels. Bridges open in conjunction.